File 1-0022 - Proposed house on Stadacona Ave., Victoria, B.C. 1 architectural drawing : blueprint ; 40 x 62 cm. 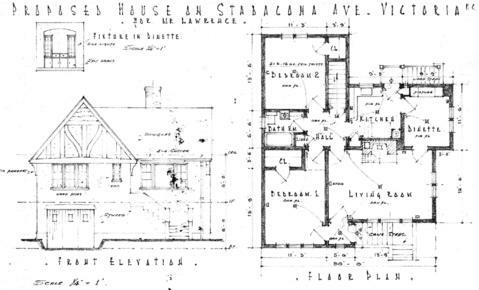 Consists of architectural plan for building at 1412 Stadacona Avenue. One-storey house with garage in basement.